At a time when England have introduced digital literacy elements to their new Computing PoS, and with the recommendations from the ICT Steering Group report for a digital literacy framework alongside the new subject of Computing, I’ve been attempting to look closely into what exactly is meant by the term ‘digital literacy’, and ultimately what this could mean for primary and secondary schools in Wales. I intend to put together a series of blogs on the topic, mainly as a way to help me with my understanding around some of the current thinking in this field, but hopefully it will still be of interest to teachers and others. I'd welcome any of your thoughts or comments on this topic. 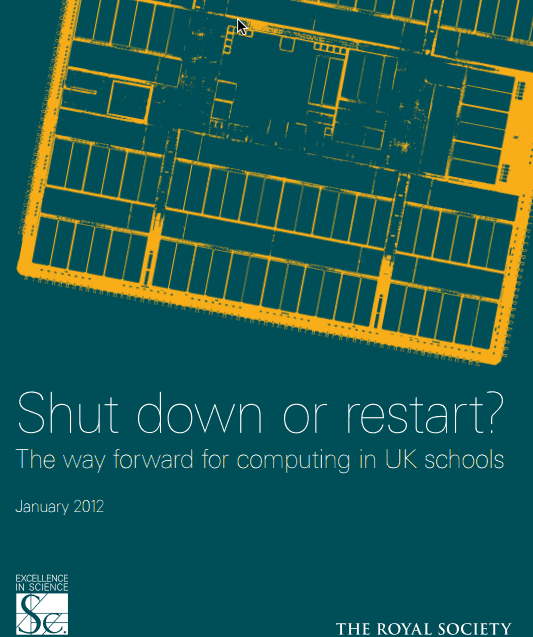 In June 2012, Leighton Andrews, the then Minister for Education and Skills, announced “an additional £3m of funding over the next three years to support a range of measures to improve computer science, digital literacy and ICT in schools and colleges across Wales.” This announcement came soon after the Royal Society’s, “Shut Down or Restart?” report in January 2012, which recommended the disaggregating of ICT into clearly defined areas such as Computer Science, Information Technology and digital literacy. In September 2013, England published their new Computing PoS for KS1 to 4, that would be taught in maintained schools in England from September 2014. The subject content of which reflected the Royal Society’s report containing statements that could be grouped together as Computer Science, Information Technology and digital literacy. In September 2013 the group published its report containing 12 recommendations. However, it should be noted that the Welsh Government has recently tasked Professor Graham Donaldson with putting forward recommendations for a clear vision of education in Wales, from Foundation Phase to KS4, and part of his remit is to look at the reports from a variety of stakeholders, including the ICT Steering Group report. He is due to report his findings at the end of the year (2014). It will be very interesting to see what Prof Donaldson recommends. 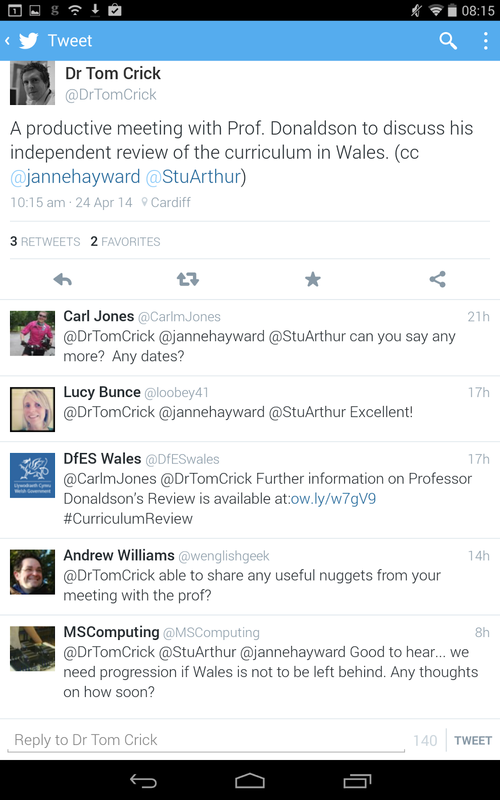 Coincidentally, Dr. Tom Crick who was a co-chair of the ICT Steering Group, tweeted this yesterday. Well let’s take both words separately before looking at numerous definitions of the term itself. Digital - one of the definitions of which is “Involving or relating to the use of computer technology” or “Characterized by widespread use of computers”. I think most of us would be happy with that simple definition in this particular context. Literacy - “the ability to read and write” or the broader definition of being “knowledgable or educated in a particular field or fields”. Both quite straight-forward and explanatory definitions. Therefore if I was to put the two definitions together then it could give me a definition something along the lines of, “a persons knowledge in using computer technology”. Let’s have a look at some more formal and detailed definitions from various organisations. This is certainly by no means an exhaustive list. I’ll start with this definition from the Royal Society, it comes from the influential “Shut down and restart?” (2012) report which is very much at the heart of the curriculum changes in England and the ICT Steering Group in Wales recommendations. 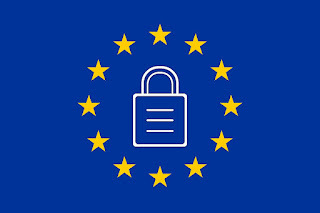 "Digital literacy should be understood to mean the basic skill or ability to use a computer confidently, safely and effectively, including: the ability to use office software such as word processors, email and presentation software, the ability to create and edit images, audio and video, and the ability to use a web browser and internet search engines. These are the skills that teachers of other subjects at secondary school should be able to assume that their pupils have, as an analogue of being able to read and write. What I find particularly interesting about this definition is that in my opinion this is basically what schools should have been (or are) carrying out under the ‘belittled’ subject of ICT. It looks like all we are doing is changing the terminology ("re-branding, re-engineered") from ICT to Digital Literacy. I do however particularly like the final sentence about “teachers of other subjects at secondary school should be able to assume that their pupils have, as an analogue of being able to read and write.” I hope to come back to this in a further post. I thought I go back and have a look at how Becta defined digital literacy. "Digital literacy is the combination of skills, knowledge and understanding that young people need to learn in order to participate fully and safely in an increasingly digital world. This array of skills, knowledge and understanding is a key component of the primary and secondary curriculum and should be incorporated in the teaching of all subjects at all levels." In my opinion this definition is actually pretty closely matched to the Royal Society’s version. It too talks about an array of skills, but unlike the Royal Society it is not expanded upon. It also mentions that this is done safely, and that the skills, knowledge, and understanding should be incorporated into the teaching of all subjects. Perhaps the only difference I can pick up in this is the reference to “an increasingly digital world” which we don't find in the Royal Society's definition. "To be digitally literate is to have access to a broad range of practices and cultural resources that you are able to apply to digital tools. It is the ability to make and share meaning in different modes and formats; to create, collaborate and communicate effectively and to understand how and when digital technologies can best be used to support these processes." Contrast this with the Royal Society definition. Their definition seems focussed only on functional skills (basic skill or ability to use a computer), e-safety (confidently, safely and effectively), effective communication (email) and the ability to find and select information (the ability to use...internet search engines). Futurelab are now introducing creativity, critical thinking and evaluating, cultural and social understanding and collaboration into the digital literacy mix. 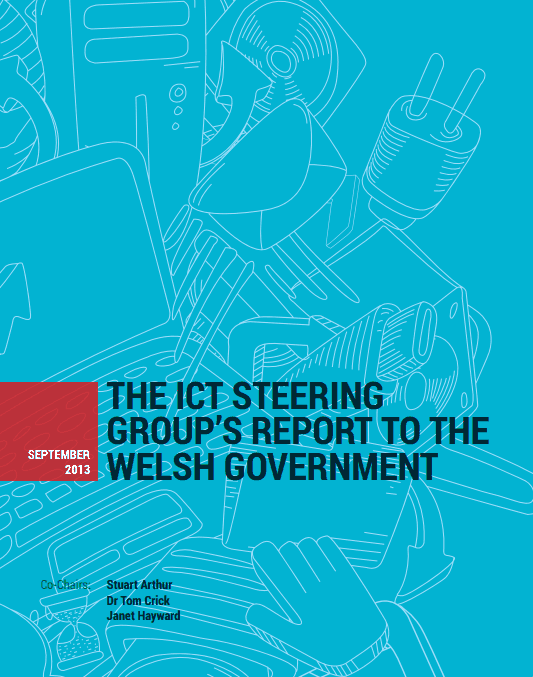 Interestingly if you look back to the Welsh Government's proposal for the Wider Skills Framework you will see critical thinking and creativity elements included but in a broader context, not necessarily only from a digital perspective. which one could certainly argue as being equally as important features of being a digitally literate citizen. Suddenly the simple Royal Society comment of using the computer "safely" becomes a larger and important area. But how much of this is taught in Computing lessons, and how much of this is a whole school issue? "We simply define digital literacies as the capabilities which fit someone for living, learning and working in a digital society." A very simple definition from Jisc. But in my opinion the key to this definition is unpacking the word ‘capabilities’. Both Becta and Futurelab mention skills, knowledge, understanding and practices to be digitally literate. Only in the Royal Society definition do we really get a description of those skills and abilities that they believe are needed to be digitally literate. I should add that Jisc do elaborate on their definition breaking digital literacy down into some similar areas to the Futurelab model. What are the digital literacy skills that a secondary school teacher would assume their pupils to have when they enter his or hers class? Are these a different skill set from the question above? Are digital literacy skills different for each curriculum subject? What's common to every subject? Where does digital literacy get taught? Is it only in ICT Computing lessons? At a time when there seems to be a wide variety of 'literacies' in education - physical literacy, emotional literacy, musical literacy, information literacy, media literacy, visual literacy, cultural literacy, functional literacy, financial literacy, social literacy….the list is endless, I particularly liked this humorous tweet from @edtechhulk on this literacy terminology ‘overload’. 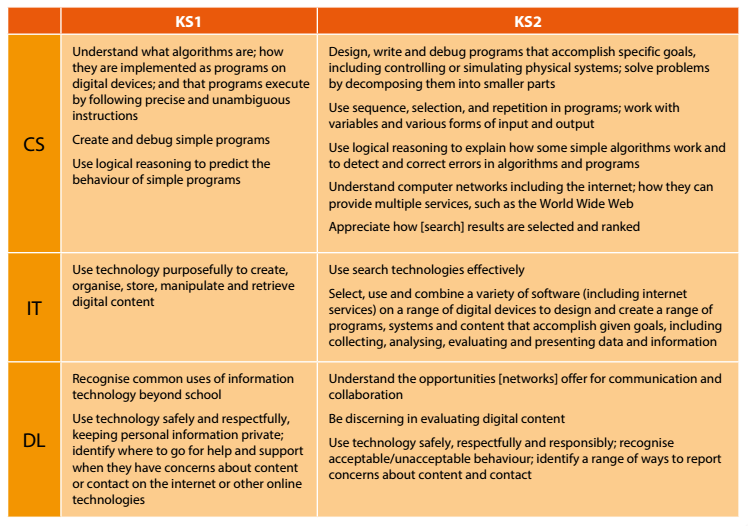 In my next series of blog postings I hope to look at a couple of existing digital literacy frameworks, what digital literacy looks like in the new English Computing PoS and possibly how a new statutory digital literacy (or wider skills framework) could work alongside a new Computing curriculum for Wales.